Behavioural health is core to total health. 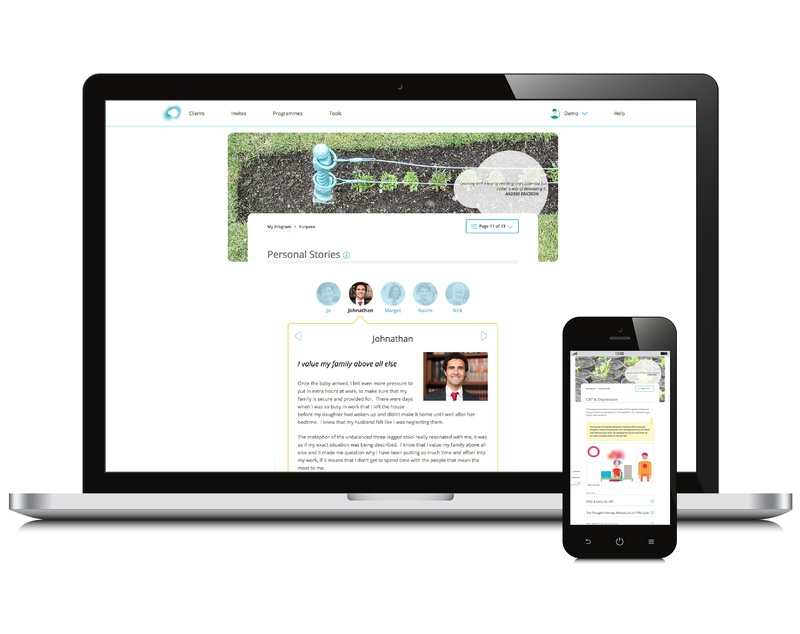 SilverCloud provide accessible, scalable, digital behavioural healthcare. We deliver measurable results for our many customer organizations as well as the individuals who use our programmes. In 2017, SilverCloud Health raised $8.1 million in Series A funding. This round of mental health funding was led by venture capital firm B Capital Group, founded by Raj Ganguly and Facebook co-founder Eduardo Saverin, with significant participation from ACT Venture Capital and returning investors, Investec Ventures and AIB Seed Capital Fund managed by DBIC, NDRC and Enterprise Ireland. SilverCloud is defining a new healthcare model to meet the demand of the rapidly growing behavioural healthcare market, which in the US alone is estimated to be worth $440 billion. Clinical research, strategic partnerships and user-testing provide evidence and informed insight that is at the heart of our solutions. Built on more than 15 years of academic research with global partners, we continue to form relationships with industry leaders to ensure our iCBT programmes are engaging, effective and informed with the most up-to-date information and technology. In fact, randomized control trials show results on par with face-to-face CBT. SilverCloud Health’s hundreds of customer organizations can attest to our effective and cost-efficient solutions. We’ve developed more than 30 programmes addressing conditions across the full spectrum of mental and chronic health care. 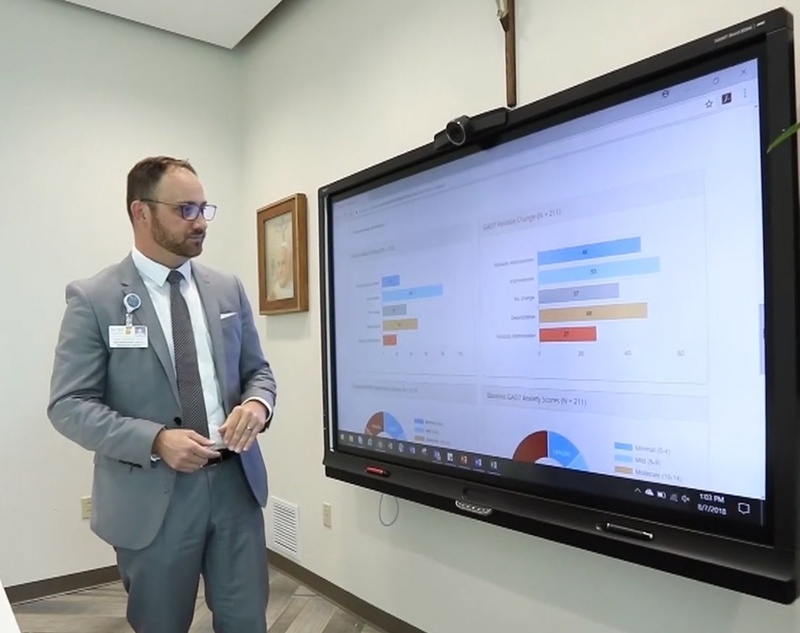 We are continuously expanding our offerings to meet the growing need for accessible and personalized mental healthcare. With over 15 years of academic and clinical research, SilverCloud is the industry leader in internet-delivered Cognitive Behavioural Therapy solutions. SilverCloud has received numerous awards and has been recognized many times for being an innovator in its space. 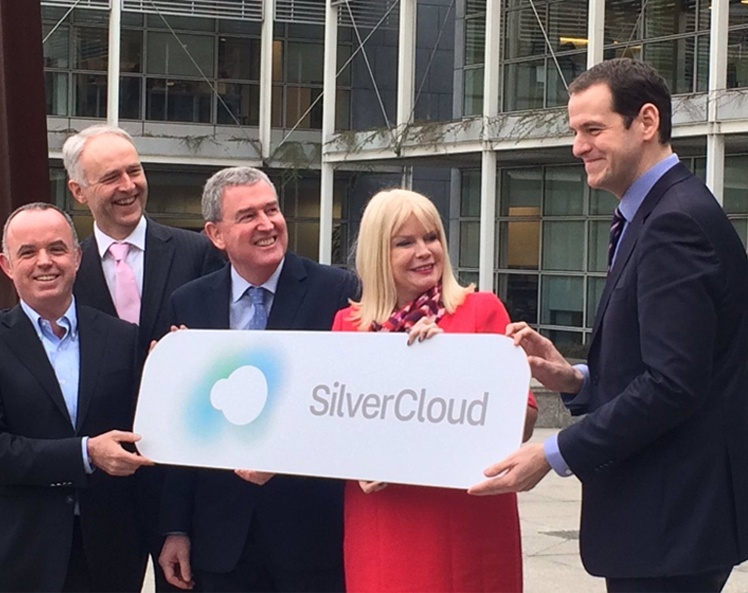 Ken Cahill is the CEO and co-founder of SilverCloud Health with offices in Boston, Dublin, and London. Prior to founding SilverCloud Health, Ken held senior positions in several multinationals including, Dell, HP, and Gateway. Ken recently received the 2018 MedTech Boston 40 under 40 award. He holds BSc. Degree in Computing, Diploma in new business and Certificate in company direction from the IOD. Kevin leads finance, investor relations and HR for SilverCloud with a proven 20 year track record across a range of industries – notably online, ecommerce and technology. Kevin ensures SilverCloud’s operations continue to develop into a world-class innovative healthtech company. James is a co-founder and focused on the continued advancement of SilverCloud’s digital health innovations. James leads the technology roadmap for SilverCloud and keeps the company at the frontier of behavioural health technology development. An internationally recognized thought-leader in online therapeutic delivery, Derek leads the initiatives and research that guide the development of SilverCloud’s programmes. Karen, a co-founder, has an eclectic background that includes healthcare & the arts. She leads the product team in designing and building SilverCloud’s 40+ effective online mental health interventions. A founder and scientific advisor, Gavin’s expertise include healthcare technologies, visual design and information. He is an associate professor at Trinity College Dublin and a widely published author. SilverCloud is designed in conjunction with John, who is a co-founder, and his team of clinical specialists. He is an adjunct professor at the School of Psychology in University College Dublin. Recognized in Accenture’s Digital Health Tech Vision 2016 report as an innovative company taking charge of mental health through intelligent automation. SilverCloud is one of five companies listed in the report including Apple, Uber, United Healthcare and Philips. 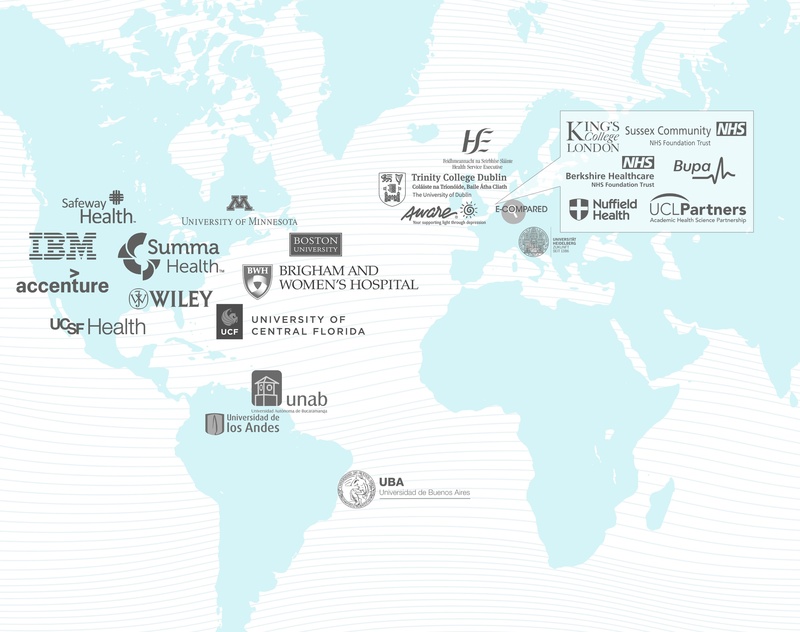 Listed as one of the Top 100 Global Disruptive Companies in Healthcare, in a report compiled by The Journal of mHealth. 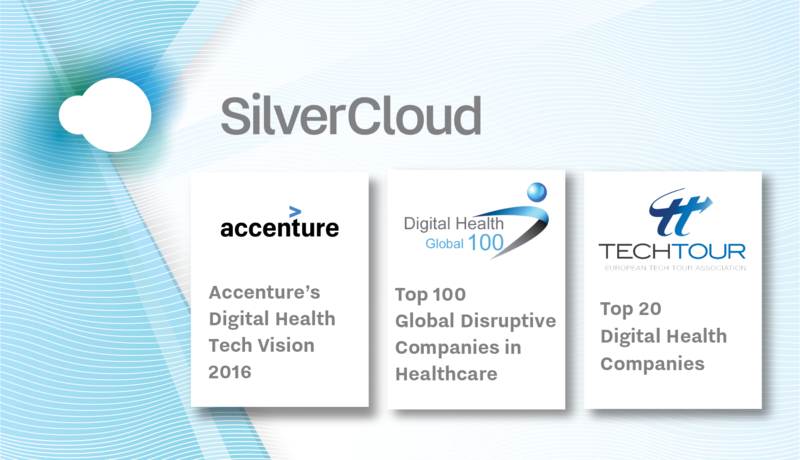 Tech Tour named SilverCloud Health as one of the top 20 digital health companies in Europe.